Easily adjustable to men's (2.43m), women's (2.24m) and junior (2.13m) heights. 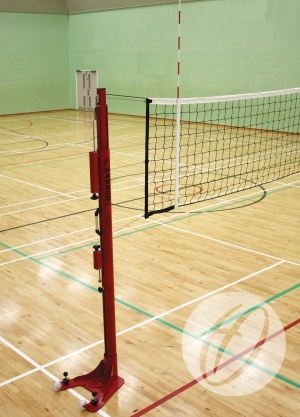 Winder and dummy posts include a unique easy to use fine adjustment screw mechanism that can be operated whilst the net is under full tension. Floor fixed version has a 8mm thick steel base with whitworth compatible floor fixings and plastic wheels.